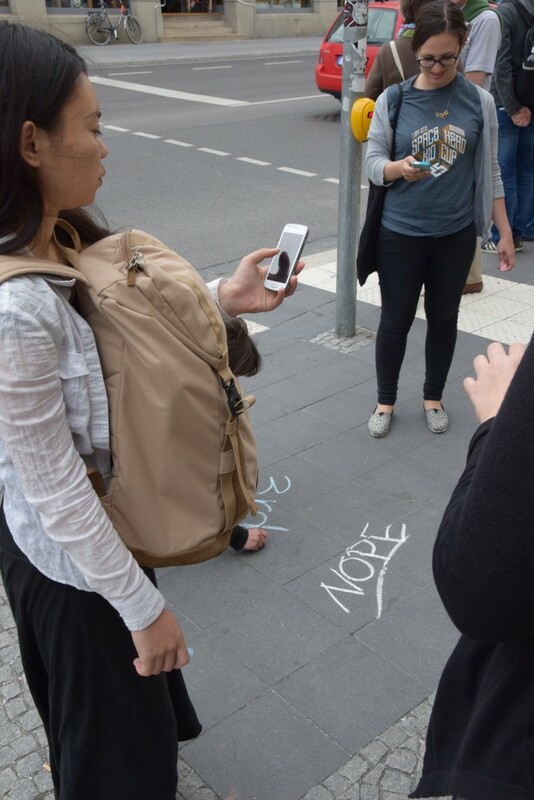 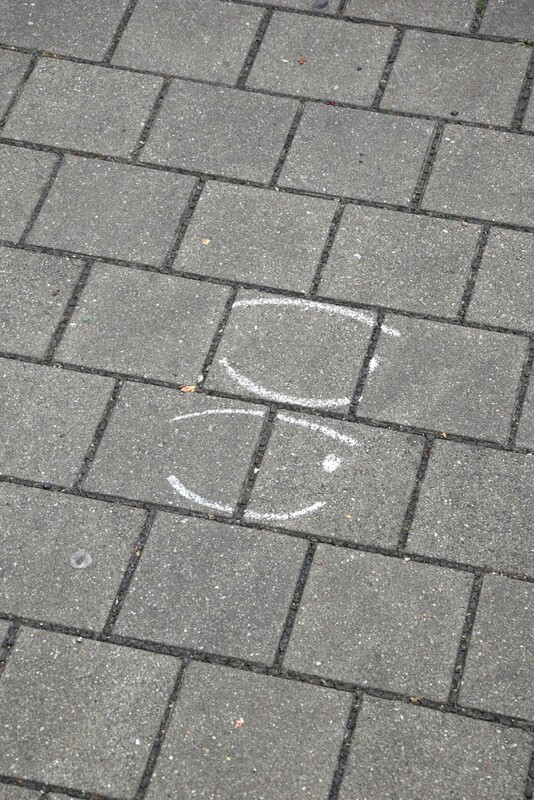 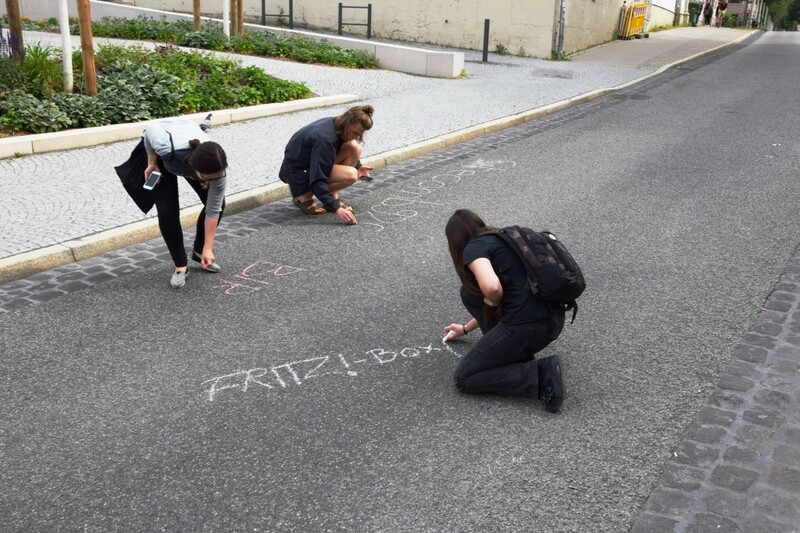 Students of the Bauhaus University marking available wifi networks with chalk on the streets of Weimar. 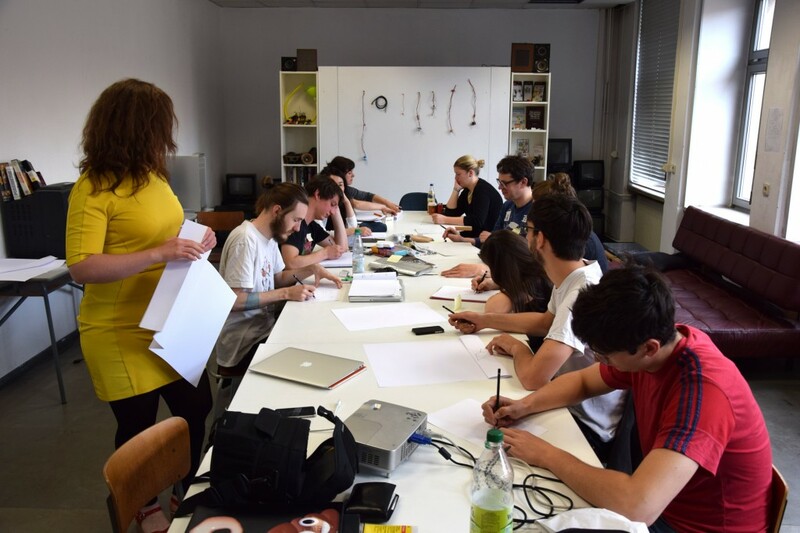 Drawing the Internet is a one-day workshop involving a series of drawing techniques while discussing and thinking about Internet experience. 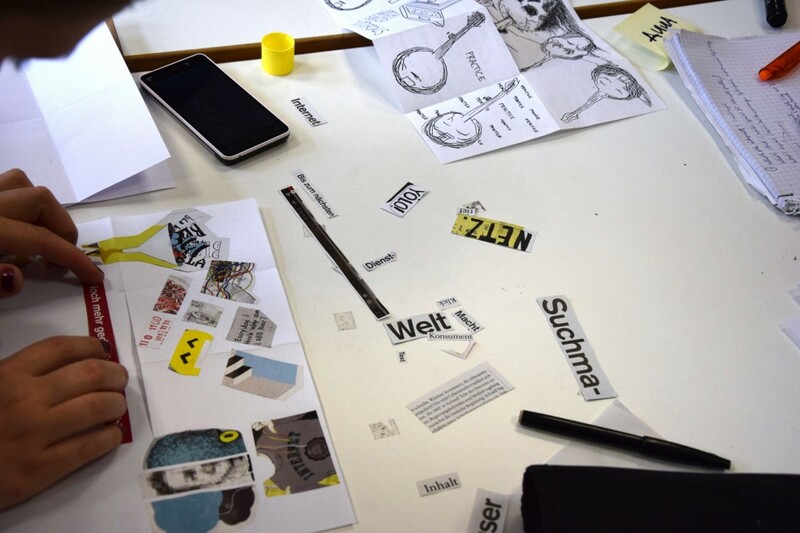 After an introduction, discussion, and some speedy warm-up sketching, students developed their very own Internet as a drawing story on one A4 sheet folded into an eight-page, A7 booklet. 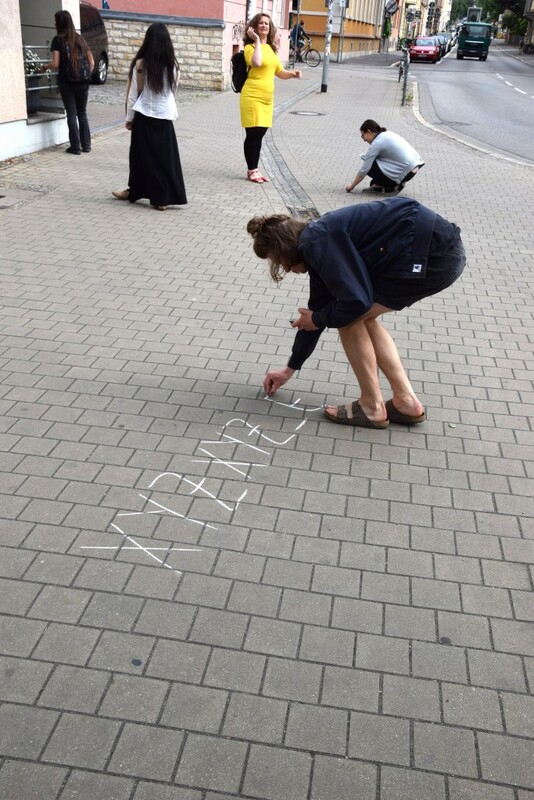 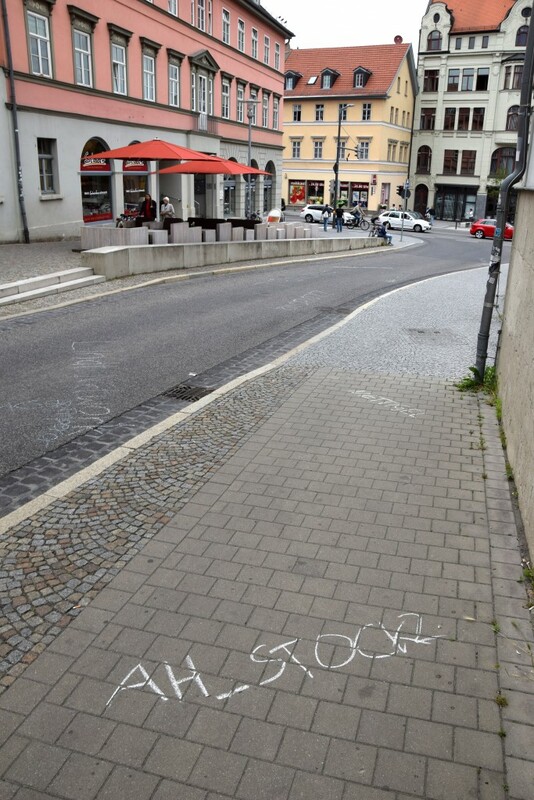 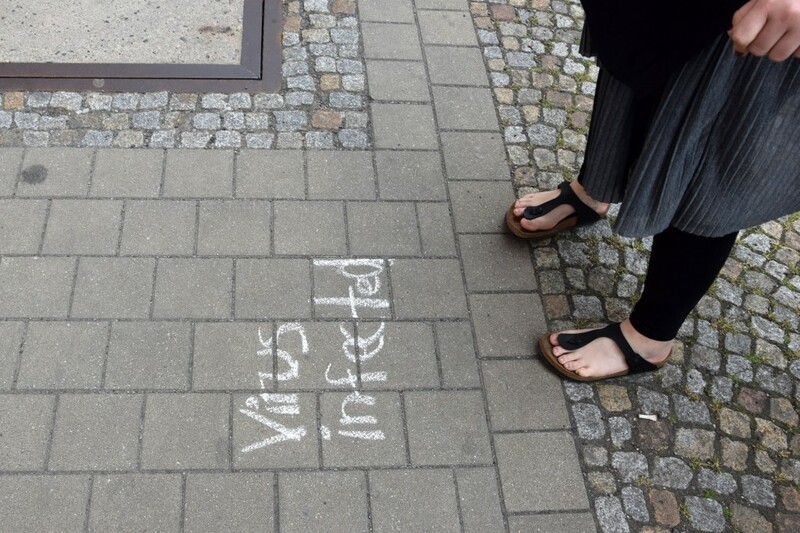 In the afternoon, we went outside into downtown Weimar to mark visible wifi names (SSIDs) with chalk on the ground, sidewalks and streets. 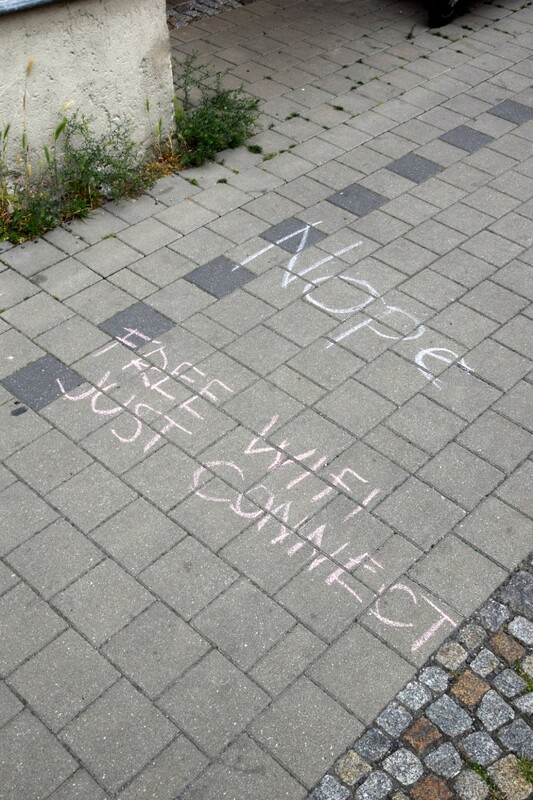 Drawing the Internet! 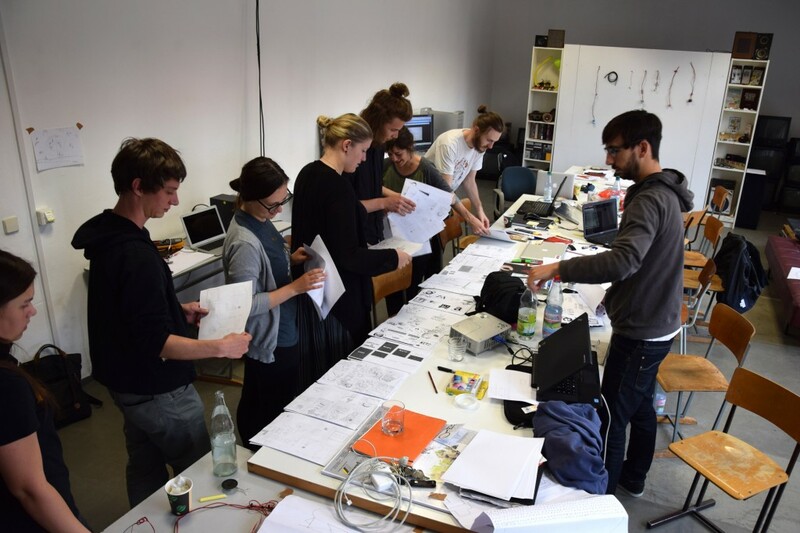 “During this intensive workshop the guest lecturer Aram Bartholl will guide the students through a variety of technique based exercises that are typically found within traditional drawing lessons in order to study the material, cultural, political and scientific dimensions of the Internet. 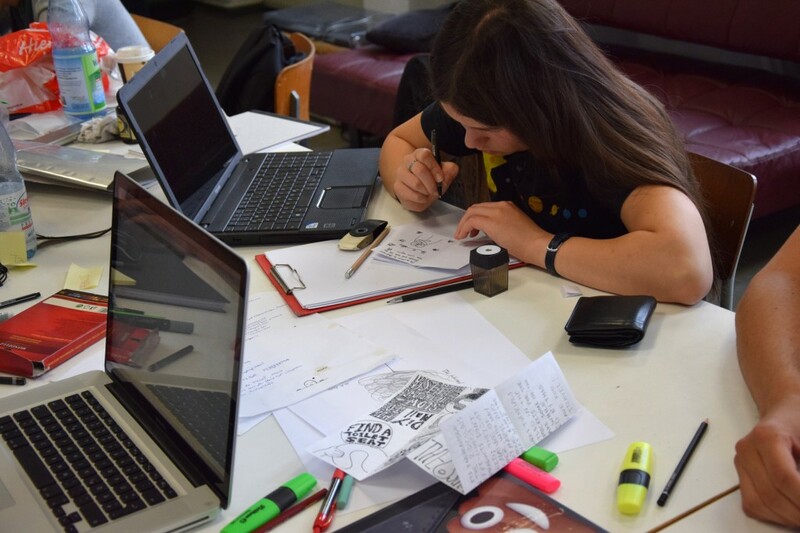 They will use tools such as pencils and paper and consider the ways that concepts of media technology can inhabit drawing elements such as line, shape and proportion. 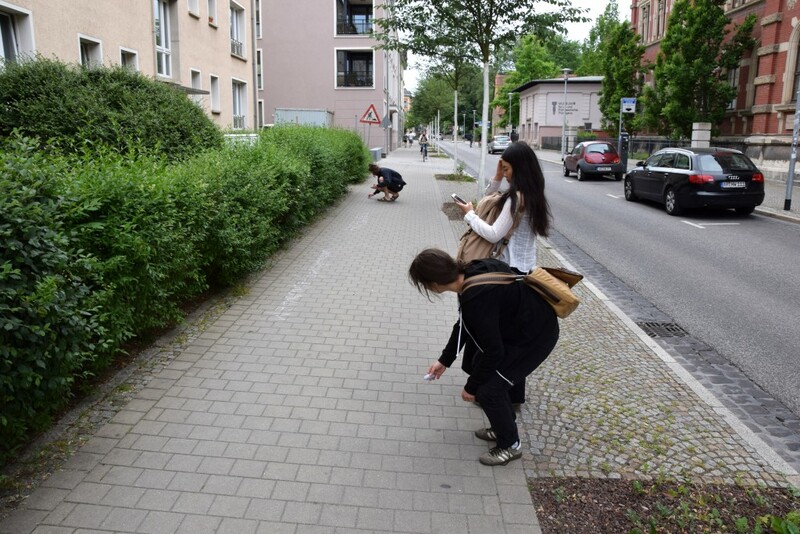 – How can the formal and conceptual parameters of drawing be used to envision alternative perspectives on media technology? 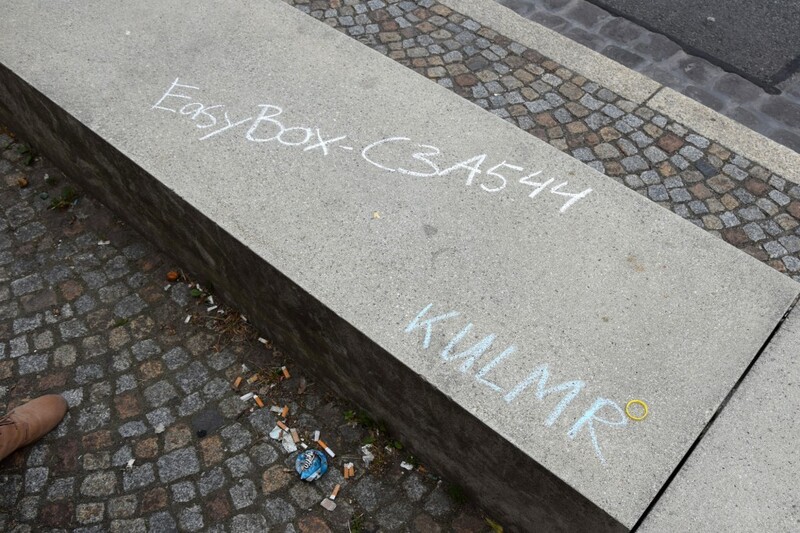 – What happens when algorithms invisibly embedded in online platforms are given shape through the act of physical gesture and mark making? 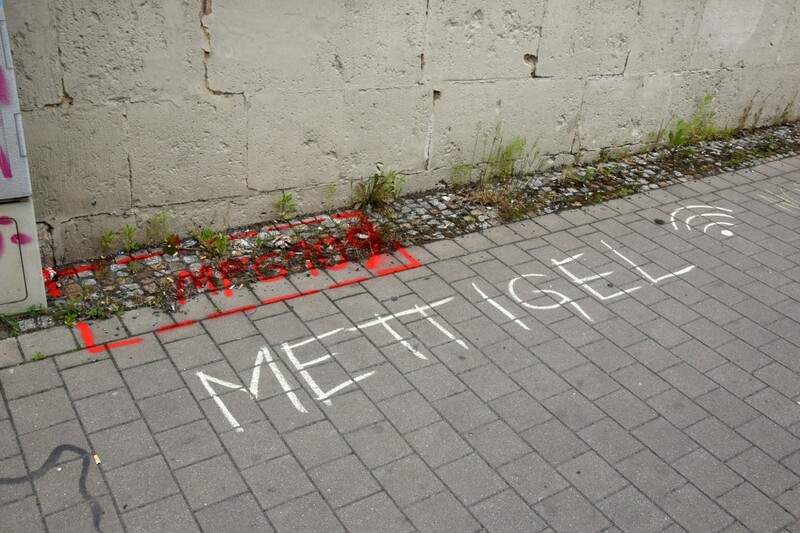 – How can we draw on examples from art history and art making methods such as formalism, and abstraction to reimaging elements of the Internet on paper?